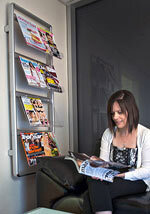 Wall Mounted Magazine Racks Include Wire, Aluminium & Acrylic Options! 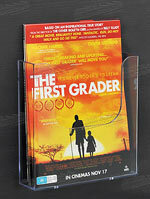 The magazine racks are wall-mounted displays that help you to provide information visitors. 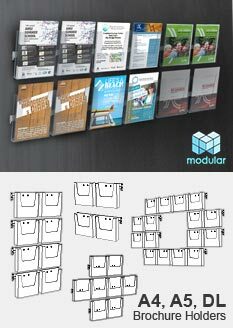 The brochure wall display can hold a variety of different sizes, making them perfect for the needs of different businesses. 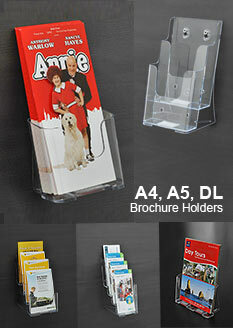 The A5 leaflet holders, magazine racks are commonly found in heaps of different places. Information centres, museums, and welcome centres place pamphlets containing area maps, historical information, tourist attraction flyers and more for visitors to grab and bring around with them. 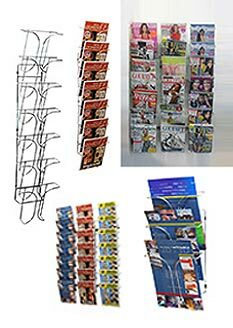 Literature organizers, brochure wall displays, and other magazine racks are placed around retail stores and news agents to display magazines and catalogues for customers to browse through in a single area to make it easier for them to find their choice. Exhibition and trade show halls place pamphlets regarding upcoming events and how to attend as both presenters and visitors. There displays are also found at doctor offices and care centres as an easy way to give information to waiting patients with health tips and general information regarding various ailments! 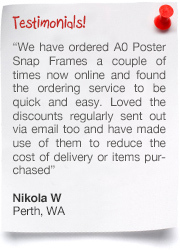 There are many magazine racks and styles to choose so your business can find the exact right one for your needs! How do you install these magazine racks? All of these displays are wall mounted literature organizers, helping to free floor space up to place other fixtures, furniture, or leave more of an open path. Wall mounted displays are especially useful in transit stations, helping to ensure that passengers have little obstruction in their paths. 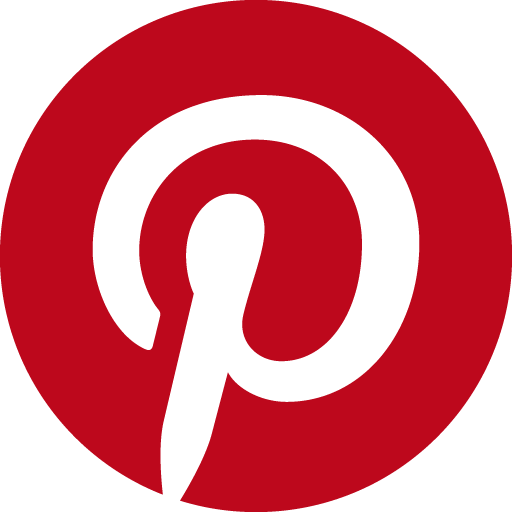 Installation hardware is either included with your purchase to work with most surface types, or can easily be found at your local hardware store. All of these catalogue holders have holes pre-drilled into the displays to make sure they can be set-up without an issue. Universities can buy these A5 leaflet holders to put in different buildings around campus to place course selection guides, books, and more important information regarding campus events and functions! What businesses use these Magazine Racks? 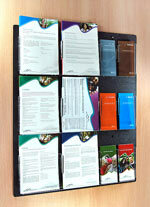 There are many modular literature organizers that you can pick to place at your business. These displays feature acrylic pockets that are angled, making it easier to see the displayed brochures, catalogues, & pamphlets. Each display has a pocket designed to hold different sizes of catalogues, including A5, A4, & DL sized pamphlets. The clear acrylic pockets make it easy to read the front cover of each brochure so that patrons know exactly which one they are going to be receiving. The cut-out in the pockets are another feature that help provide an easy to use display, making it simple to take magazines out of the wall mount unit. These modular displays have many configurations available, such as 2 x 8, 4 x 4, & even 2 x 12! 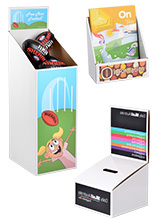 You can also arrange these holders in different ways to include posters between the brochures, or even just to make an eye-catching display that is more appealing. Installation of the literature organizers is a simple task as well, with mounting hardware included that will work for most surface types. The aluminium mounting bars feature a silver finish for a professional look in all decors, and the acrylic pockets easily slide over the top of the rail. Set screws in the back of the pockets secure the displays to the bar for stabilisation! Catalogue holders are also available made of wire for a different look that is also at home in every location. These displays feature a waterfall style arrangement that angles the brochures down whilst leaving ample room to see what each cover is depicting. These tiered displays have different amounts of pockets, allowing you to choose from 3, 7, & 21 pocket units to best fit with your needs. 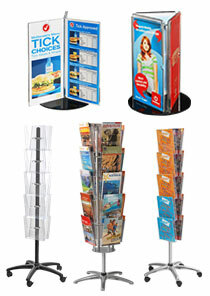 You can purchase multiple pamphlet display and combine them, making larger displays with a uniform look. 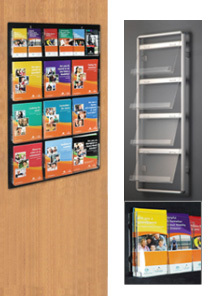 Another selection of displays with acrylic pockets are designed to hold A4 or DL sized brochures, and are also clear to show the entirety of the literature. These units do not have a waterfall, angled style, but rather a flush look that is especially prevalent in doctor offices and retail stores. These large displays make a great addition to any location. You can choose from both clear and black backing , making it easy to coordinate with your décor! 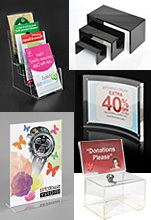 Another great version of these brochure holders that offer can be used on counter-tops as well as be wall mounted like the other described displays. Like the wire rack choices, these tiered products have multiple choices in each size format, depending on how much literature you need to display. 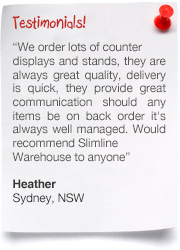 These units also feature clear acrylic to make it easier to display your magazines with a full view. 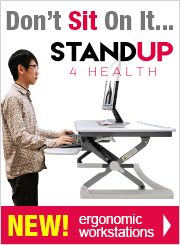 Mounting of these units is simple as well, with screw holes drilled into each pocket! 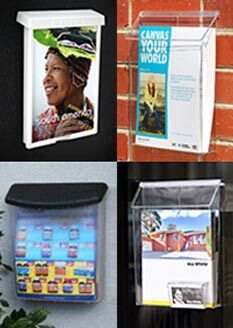 There are also different outdoor catalogue displays to choose from, perfect for placing outside of your business or properties with information about goods, services, and real estate facts. Hinged lids help keep water out of the interior, maintaining a neat & orderly pocket so that visitors aren't getting soggy pamphlets! 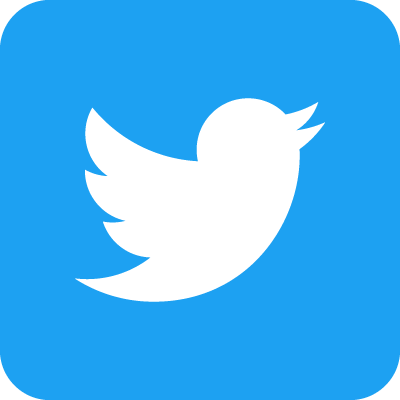 As with many of the different holders mentioned, clear acrylic is used to ensure patrons can read the entirety of the catalogue so they know exactly what they are reaching in for. This selection of goods makes it easy to provide informational brochures to your visitors in an concise & attractive way, surely getting the attention of potential customers and giving them reason to grab some catalogues to take home and further go over specs and information! 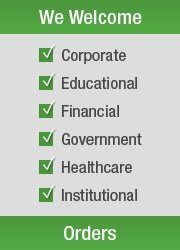 Click here to see our huge range of products, broken down into categories to make browsing easier for all of our customers. With hundreds of products in stock in a variety of types, there is sure to be a unit that will be beneficial to your company. Each of our product lines features many styles, finishes, makes, & sizes so that you can find a display that fits in perfectly with how your wish to promote sales, display merchandise, and more! 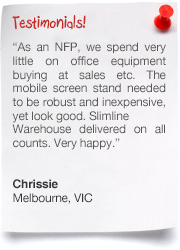 Check out our entire selection before finalising your purchase, including lecterns, whiteboards, exhibition displays, business card holders, light boxes, cafe banners, stand offs, A-boards, cable displays, notice boards, clip frames, iPad stands, portable counters, hanging hardware, & so much more! 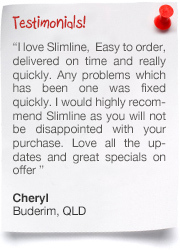 Slimline Warehouse has been in business for over 20 years, creating a relationship with vendors around the world to provide Australians with high-quality products at low prices. Our quality assurance team puts each product through a rigorous test to ensure that you purchase will last for years to come when used in the appropriate environment. 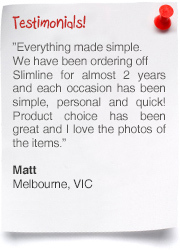 The majority of our in stock products despatch same day to anywhere in Australia when purchased by 1pm EST. 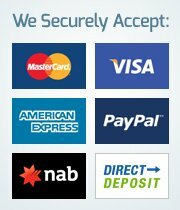 Purchase for your company today in Hobart, Melbourne, Canberra, Sydney, Newcastle, Gold Coast, Brisbane, Cairns, Alice Springs, Darwin, Perth, Adelaide, Toowoomba, Bendigo,& every other town or city in Australia!